The island of Sardinia to the west of the Italian mainland (it's southwest of Rome) is among the most traditional regions of Italy and in fact of all Europe. So it's no surprise that this lovely region boasts a wide variety of spectacular Carnevales. Let's look at a few of them remembering that "once a year, you're allowed to go crazy" or as they said in Latin semel in anno licet insanire. I would describe Prague's character as enchanting, historical, and somewhat (ironically, with regard to the aforementioned metaphor) unfriendly. The Czech people seem to lack the smile gene, or perhaps they just don't like tourists. If you ask for directions, beware of being intentionally misled. The unwelcoming aura emanating from the people of Prague is eclipsed by the enchanting beauty of the city itself. The Vyehrad Castle epitomizes the beauty of Prague. Sitting high upon a hilltop, it casts an enchanting glow over the city. It dates back to the 9th century and was once occupied by the Kings of Bohemia and Holy Roman Emperors. Because I had an entire week in Prague, I was able to devote one whole (somber) day to exploring Josefov, the former Jewish ghetto. While walking from synagogue to synagogue and through the crowded cemetery, which is the oldest existing Jewish cemetery in Europe, I tried to imagine what it was like to be a Jew living in Prague during the Second World War. It was an eerie but educational experience. Located in the heart of the Alps and the Rhone Valley, the Isere department has something to offer everyone, from extreme sports enthusiasts to art and history buffs. In the winter, the area is well-known for its skiing resorts, while in the summer hiking and biking trails offer a great way to explore the countryside. Mountains, lakes and three national parks provide plenty of open space, even in the busy summer months, while the cities like Grenoble and Vienne provide historical and cultural attractions. Image via WikipediaSardinia is an island located to the west of mainland Italy in the Mediterranean Sea south of Rome and almost entirely south of Naples. Don't be surprised that spring starts early here. And it is beautiful, at least much of the time. Many people feel that Sardinian spring weather is more pleasant than that of the Sardinian summer. So you have yet another reason to vacation here during Primavera. The small town of Sardara, population about 4500, is located some 30 miles (50 kilometers) northwest of Cagliari, the regional capital in the south of the island. On March 12 it commemorates the death of its Patron Saint San Gregorio Magno in the lovely early Fourteenth Century church that carries his name. This is the religious ceremony. The festive version occurs on September 3. At the toe of Italy's boot, right in the south of the country, can be found the wild and unspoilt region of Calabria. Most well-known for its seaside resorts - no part of the area is more than 50 km from the sea - Calabria's towns are modern creations that have been built for the tourists. However, if you wander off the tourist trail, there are many historic villages high in the mountains and the region is famous for its Greek and Roman heritage, with ruins in the countryside and artefacts in the museums. Some of the best Greek and Roman ruins can be found in the towns of Cosanza and Reggio Calabria, such as baths, theatres and even bridges. Further afield, recent digs have uncovered evidence of ancient villages at Sibari, Crotone, Catanzaro, Locri, Vibo Valentia, and there is undoubtedly more to discover in this historic region of Italy. Many of the artefacts that have been found at these digs are now on display in one of Calabria's many archaeological museums, including the National Museum in Reggio Calabria. Contained here is one of the most important collections in all of Italy, including Byzantine art, relics of Bronze and Iron Age tombs and the world-famous Bronzes of Riace, two large bronze statues of warriors dating from the fifth century BC. If you're a beach person, definitely go to Malta. Situated off the coast of Sicily, the officially-named 'Republic of Malta' is a small island, so it has tons and tons of beautiful beaches to choose from! In fact, Malta's beaches are one of the reasons this destination is so popular among tourists. There is no shortage of aquatic activities to choose from in Malta. You can go paragliding, windsurfing, wakeboarding, water skiing, snorkeling, or take a Malta Diving tour and explore Malta's diverse underwater world of reefs, caves, and wrecks. Malta is not all just fun and sun, though. Malta Sightseeing Tours will open your eyes to all there is to see and do on this memorable island - Malta possesses a rich cultural history that has rendered it a virtual open air museum. Malta tours will reveal some of the oldest known structures to mankind. As a Malta tourist, be sure to check out Hypogeum, a UNESCO world heritage site. This temple was discovered in 1902 when a stonemason uncovered the remains of over 7,000 people, dating back to 3600 BC, while he was laying the foundations for a house. Lorraine is one the 26 administrative regions of France and is located in the northeast of the country near to the German border. There are two major cities in the area of Lorraine, Metz and Nancy, as well as lots of countryside for hikers and cyclists to explore. The region has its own strong culture, including local German dialects, though everyone you meet will also speak French. While visiting, you should try the specialty of the area: Quiche Lorraine. Anyone who visits the Sarntal valley finds authentic, evolved tradition, which is kept alive naturally by the Sarners. Customs are no routine rituals here; they are authentically observed and celebrated. A special tradition is Kloeckeln, a custom at the time of Advent with pagan elements. The term "Kloekeln" is derived from "klocken", which in Sarner dialect means as much as "to knock". In former times Kloeckeln existed in the entire Alps, nowadays it is kept alive only in a few valleys - and rarely as authentically as in the Sarntal valley. In these last years Milan is becoming one of the best and more popular destinations where to spend Christmas holidays. Thanks to the dozens of events it hosts everyday, such as fairs, typical markets, free concerts, cultural initiatives, Milan is today one of the most attractive cities in Europe for old and young people. Especially at Christmas time the city changes its face; all begins on 7th December with a wonderful celebration for the feast of Saint'Ambrose, the city's patron Saint. Every year Milan in those days organizes an ancient and famous Christmas market full of sweet and typical products: the "Oh Bej! Oh Bej!" fair, that literally means "So Beautiful! So Beautiful!" 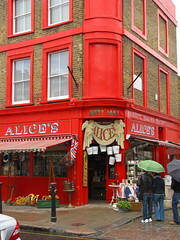 Here you can find everything, from antique stalls and buskers to roast chestnuts and candy floss. The fair provides an excellent opportunity to do some Christmas shopping, and is particularly enjoyed by children. 1. The Last Supper, or Il Cenacolo, as it is called in Italian, is one of the most popular attractions on the Italian tourism circuit. So buy your Last Supper Painting Tickets before hand to ensure you are able to view the painting and don't miss out on this incredible experience. Drift beneath bridges, alongside cafes, under balconies and through the vibrant Venetian streetscape as your singing gondolier sweeps you down the Grand Canal for a gondola ride like no other. The magic of Venice will come alive as you float by gondola down the shimmering Grand Canal and make your way into narrow canals spanned by tiny bridges that make up a labyrinth of land and water. Gondolas have existed in Venice for centuries. At first, gondolas were used for transporting goods through the narrow canals of Venice, today gondolas are primarily used for tourism and ceremonial functions. Taking a gondola ride in Venice reveals a totally different view of the city than exploring it by walking. The best time for a gondola ride in Venice is later in the day when the canals are no longer crowded with other boats. With over eighty beaches dotted around the tiny island, it is not an easy chore to pick out the best beaches of Ibiza. In fact the beauty of the area is that you can select a beach according to how you feel in the moment. Then it never takes longer than half an hour to travel from a beach on one side of the island to another. Cala Brassa is a large beach with light tan sand. It is in the middle of nowhere and enjoyed by the clubbers, but has a regular ferry service from San Antonio. There are several restaurants, facilities for mooring boats and fishing, as well as parking, showers and toilets. Whenever people need to relax perhaps after several weeks of hectic schedule from work, busy family life and a lot of evens and gatherings that they attended, they want to head right away to the beach. Who would not want to enjoy swimming in the deep blue water and feel the soft sand on your skin? It is just the place to be whether you want to go alone, be with you family or enjoy a short vacation trip with your friends. It is nice to know about some of the best beaches in the world so that by the next time you travel, you know where you should book an accommodation. When you first step out of your hotel on the first day of your holiday there is often an overwhelming feeling of where do I begin? If you are only visiting for a limited time or you're staying for a while a Hop-on Hop-off tour is the very best way to begin. Sightseeing has never been so hassle free. Regular buses mean you don't waste time waiting at the bus stop. This convenient way of traveling is perfect for all ages. Dictate your trip hop-off when you want, as many or as few times as you fancy. 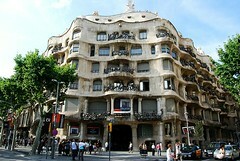 Alternatively sit back, relax and absorb the abundance of attractions Barcelona has to offer. Image via WikipediaDinner and a Betrayal! Discover why The Last Supper is one of the most famous religious images in the world. This article explains The Last Supper's appeal and why it has been the centre of so much debate. It will highlight the elements that are often over looked and how being in its presence will make you reassess the brilliance of Leonardo da Vinci. If you are hankering for a European tour, why not consider the island of Sardinia, a region of southern Italy? Depending on your specific interests, this beautiful area can be an ideal vacation spot. You can get classic Italian food, and wash it down with fine local wine. Some parts of the island remain undiscovered by tourists, while others are jet-setter favorites and priced accordingly. This article presents southern Sardinia. Companion articles present northern Sardinia and central Sardinia. When thinking of romantic locations across the world, most people plump for Paris. In my view, there is an undiscovered hub of romantic nights and moments, waiting to be explored in London. With the history, cobbled streets, beautiful landmarks and parks, London is a lover's dream with so many special places owing to heart stopping moments. So when thinking about a romantic night out in London, where would one go to find a romantic bar or pub to create the perfect occasion? There are plenty of options, but you will not find these by just walking along Oxford Street or hoping you might stumble across one when striding through Covent Garden. London's romantic bars are hidden away, and need to be kept that way. The first little secret that I will let you in on is Milk and Honey. You can wonder, hand in hand, through the delightful streets of Soho until you stumble upon this gem of a bar. Let the 30's swing and jazz soundtrack calm the nerves. Sit back in the romantic booths and soak up the vibes of this secretive New York styled members bar. They take reservations so book ahead and let the fireworks begin! The wedding dress is always the highlight of the wedding, it just makes all your fantasies and dreams come true. Every young girl has spent hours dreaming about a beautiful bride wearing a gorgeous white dress, one that flows endlessly and makes the bride more beautiful than ever. What if you have decided that you are getting married on the beach, can you still get beautiful beach wedding dresses, ones that won't be damaged by the sand and the salt water? Although there are a ton of gorgeous beaches in the world, there can only be ten that stand above the rest. So who's high ranking as the top ten most gorgeous beaches in the world? Keep reading to find out. One of the most secluded and cleanest beaches in the world, Whitehaven requires you to travel by boat and you're not allowed to sleep on it. The sand is so white that you might need sunglasses to block the reflection off the sand. Many Americans dream to travel the world when they retire. They have worked all their lives and they feel as though they deserve it, and they do. Americans over 65 are all eligible for Medicare for their medical insurance. Medicare is great because it costs less and has better benefits than many plans for individuals and families under 65 years old. Most people do not realize that there are limitations to Medicare and they will need to consider alternatives when Medicare does not cover certain things. This Eiffel Tower restaurant has been given a new lease of life thanks to collaboration between chef Alain Ducasse and designer Patrick Jouin and undergoing a revitalisation equivalent to a facelift. Formerly Altitude 95 this Eiffel Tower restaurant still retains its charm and serves\offers the best French cuisine in one of the most incredible settings in the world. The 58 Tour Eiffel restaurant is perfect for either an Eiffel Tower lunch or dinner, changing its menu has Paris changes its apparel with the setting of the sun. The views, the menu and the accessibility of this Eiffel Tower restaurant above the streets gives it the number one spot for a romantic meal in Paris. If you are in the mood for a European tourist destination, why not consider the island of Sardinia, a region of southern Italy? Depending on your own interests, this beautiful area can be an ideal vacation spot. You can get classic Italian food, and wash it down with fine local wine. Some parts of Sardinia remain undiscovered by tourists, while other sites are favorites of Italian and international jet setters and are priced accordingly. This article presents southern Sardinia. Companion articles present northern Sardinia and central Sardinia. Paris is one of the best cities for art and culture, it's reflected in everything they do. Their splendid cuisine has become as visually exciting as it is delicious, their architecture demonstrates the different time periods its seen most seen in Notre Dame Cathedral which shows its Gothic style from every and every gargoyle. But nothing demonstrates their culture then the diversity of exciting museums that are available in Paris, if you want to see all that Paris has to show you then save time and money and book yourself a tour or a Paris Museum pass, so that you can jump the huge line at all the greatest museums. The Paris museum pass is the most popular choice when going sightseeing in Paris because of its many bonuses. It allows you to skip the line and free entry to over 50 of the best sightseeing attractions and also means you can get free metro transport all around Paris making getting lost that little bit less likely. Some of the best museums that the Paris museum pass will get you into are the legendary Louvre museum, Rodin museum and the Archaeological Crypt of Notre-Dame. These spellbinding museums cover a lot of Paris stories and culture in different ways. The Louvre is a tribute to some of the great artists through out history many of them spending time in Paris for a long time, the Rodin museum is where Auguste Rodin the iconic sculptor assembled his work. It has been kept as a tribute to him and amazing creations by some of his pupils has has been added to the museum. Finally the Archaeological Crypt of Notre-Dame is a historical collection of relics from some of the earliest settlers in the city and takes a look at what it was like to live in Paris during the Roman Empire. Each museum takes a new angle or a new topic on topics, making them some of the most interesting museums in the country and with the Paris museum pass you can see them all. 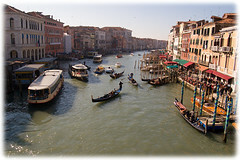 Venice is renowned as one of the most romantic and lovely destinations in the world. The city is built on 118 small islands and is connected by over 400 bridges of which only 3 cross the main canal. The Republic of Venice dates back to 827, when a Byzantine Duke moved its seat to what is now known as the Rialto, and for almost ten centuries, prospered on trade and under the rule of a Roman-style Senate headed by the Doge. In 1797, the city was conquered by Napoleon and was soon merged into Austria-Hungary. For the following years, the city was ping-ponged back and forth between Austria and Italy. Venice became part of Italy in 1866 following the Seven Weeks War. All London tours should spend some time soaking up some of The Big Smoke's rich public house culture. As you can imagine, there are hundreds of places to drink London, here are a few pubs that should be the cornerstone of any good tour. Charles Dickens was known to regularly frequent this pub, and its gloomy setting makes it easy to imagine that some of his characters were created here. The roaring open fireplace means this is a pub best seen in winter. Andalucia, Spain is one of the sunniest and warmest places in Europe. With a vibrant culture and a colorful array of carnivals, foods, and history, Andalucia is one of the greatest places to visit in all of Europe. Known for flamenco dancing, bullfighting, and architecture, Andalucia has much to offer the visiting admirer. For the art lovers, any number of museums will satisfy their curiosity of Andalusian fine art talents. The Museum of Fine Arts in Seville has hundreds of works from the Golden Age of Sevillian painting, created by famous artists such as Murillo and Valds Leal. It also houses the famous sculpture by Pedro Milln, Crying Over the Dead Christ. If you are in the mood for a tour of Europe, why don't you consider the island of Sardinia, a region of southern Italy? Depending on your specific interests, this beautiful area can be an ideal vacation spot. You can get classic Italian food, and wash it down with fine local wine. Some parts of Sardinia remain undiscovered by tourists, while other sites are favorites of Italian and international jet setters and are priced accordingly. This article presents northern Sardinia. 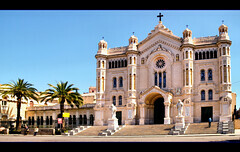 Companion articles present central Sardinia and southern Sardinia. Catherine wrote many letters to the Pope, pleading the case of Florence. It was always as if she were writing to an old friend, very personally, very lovingly, or as to a father, calling him "Babbo Mio," (my daddy), never intimidated yet respectful of his position. And he, on his part, answered in kind, to a daughter. He liked Catherine. Catherine wrote, as someone sent by the Lord, with authority, fully confident she was to bring His Will to His Vicar on earth. Does this sound a bit lofty on her part? Well, she was not the first woman to be a Prophet to the Pope. 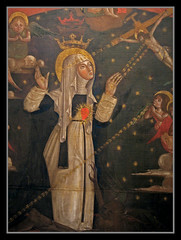 St. Bridget of Sweden, also a Mystic, had the courage of her convictions to speak out strongly on the need for reform, attacking boldly the corruption and politics in the Church. Whereas Pope Gregory XI called her a Prophet, he did not have the warm affection for her, that he had for Catherine with her gentleness. Whereas St. Bridget spoke of doom, Catherine called the Church a garden with beautiful flowers having been allowed to grow wild, with weeds in its midst choking it. She saw the Church, at large, as foolish, stubborn children in need of Daddy, Babbo, but too strong-willed and prideful to come home and say they were sorry. "The dark voice of reality"... is not the title of an unedited album by the Doors, but one of the most appropriate definitions ever given to the work of Michelangelo Merisi, also called Caravaggio. Indeed, Merisi's approach to life was that of a contemporary rock star. His short life, turbulent and dissipated, characterized by violence, riots and general excess (he was also condemned to death for murder, even if he was not executed) make him a perfect example of a "cursed artist", compared to which Mick Jagger and Ozzy Osbourne come across as little more than beginners. So you are hankering to visit southern Italy in January, but just aren't sure what to see and what to do. Don't despair; there are lots and lots of special events that simply aren't available in the good old summertime. Here are a few of them. Get rolling; Janaury is almost upon us. A Palio is a horse race that pits neighborhoods against one another. Pignola, Basilicata hosts the Palio of S. Antonio Abate in mid-January. Villa d'Agri, Basilicata celebrates Befana Canterina. You might know that Befana is an old woman dressed as a witch who gives sweets to the good kiddies and coal to the bad ones. In mid-January Rotondella, Basilicata hosts the Feast of Sant'Antonio Abate and Feast of Fire Festival on the following day. Corigliano Calabro hosts the Calabria Orange Festival and Procession. The beautiful island of Sardinia that lies east of the Italian mainland has a relatively mild winter. And yet I know that you definitely would not want to sit in your shirtsleeves in a seaside cafe sipping a local wine. This indescribable pleasure will have to wait for the other seasons. If you are planning a visit the most sacred places of the world, then you are advised to have some prior knowledge of these places. Here is a small insight into the three famous holy sites that can give you a brief idea about them and help you plan the visit accordingly. Notre Dame Cathedral in Paris is a masterpiece of Gothic architecture. It is the seat of Archbishop of Paris. The term "Notre Dame" stands for "Our Lady", so this cathedral is also known by the name "Our Lady of Paris". It is the most magnificent building of France. It has remained a sacred place from centuries and a place of pilgrimages. The initial church was built by Childebert but was demolished later on. The present structure was built in 12th century. Costa Smeralda, Sardinia, Italy - Journey From a Wild Coast to an Organized Holiday Paradise! Costa Smeralda translated from Italian means the Emerald Coast. This combination of words very accurately conveys the predominant color of the sea in the northern part of Sardinia. In the early 1950's Costa Smeralda, formerly known as Monti di Mola, was a wild coast of the north-eastern Sardinia with deserted beaches, fine white sand and granite rocks of spectacular shapes. Back then Costa Smeralda was an uninhabited area with no roads or any infrastructure. Only a few people in the world knew about the existence of this wonderful nook in Sardinia, and Sardinia was considered a very inhospitable land inhabited by gangsters. Image via WikipediaI think that this wine's name, Vino Nobile di Montepulciano, is quite exciting, but perhaps it's just a case of marketing hype. The Lodola Nuova estate property has records going back to the mid Thirteenth Century. It has been producing wine since at least 1452. Its major vineyard is 87 hectares (about 215 acres) near the medieval village of Valiano. The property was purchased by the major Tuscany Ruffino winery about twenty years ago. Vino Nobile di Montepulciano is a well-known Tuscan red produced from the Prugnolo Gentile version of the Sangiovese grape. It is one of the Tuscany Big Three, Chianti Classico, Vino Nobile, and Brunello de Montalcino. Some say that it's a neglected middle child. (1) Classical music began in Italy-think Vivaldi. 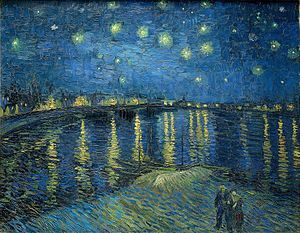 (2) Western art was invented here and has produced some of the world's most famous works of art, from Leonardo's Mona Lisa to Michelangelo's David. (3) People travel from around the world to taste Italian wine in its natural setting. (4) The natural beauty in the countryside will take your breath away. (5) The food is a fantasia for the senses, which led my father to pronounce, "If you want to impress a girl, take her to an Italian restaurant; if you want to keep a wife, take her to Italy." (6) Style and shopping: Gucci is only the beginning. The seductive synergy of these sensuous pleasures wakes the passionate and romantic spirit in all but the most stolid heart. Stintino is a small town on the north-west coast of the Island of Sardinia. Though it is not a big city, every summer dozens of thousands of tourists from all over the world come to visit this place. The main attraction of Stintino is its coast which consists of rocks and beaches with fine white sand. Italy can inspire and frustrate in equal measure, but this vibrant and colorful country has too many good points that even the most irritating quirks can only add to its unique charm. Closing your eyes and imagining you are back in the days of the gladiators while visiting the Colosseum is rather difficult when you are surrounded by thousands of noisy tourists. Italy is home to a wealth of important cultural and historical sights, so it is hard to avoid encountering jostling lines of people. Making an early start from Italy hostels to beat the masses is definitely a good idea.